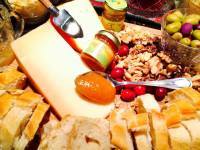 Scrumptuous Cheese Boards are one of the best ways to highlight our gourmet guava. 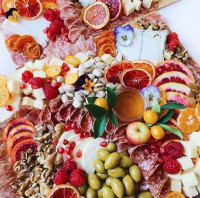 It’s easy to get creative and make a display that is not only delicious, but visually stunning as well! 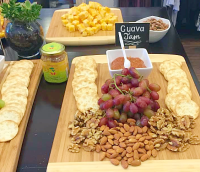 Cheese boards, platters, hors d'evoeurs, and wine make for the perfect combo with our Guava! Guava Paste with decadent cheese is a classic sweet-and-salty combination. 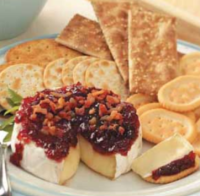 Pair Guava with Gouda, Brie, Cheddar for a party ready appetizer that is sure to be a big hit! 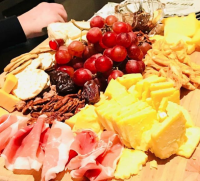 Let’s talk about that cheese! 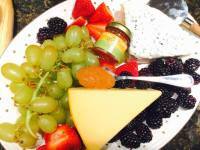 Baked Brie and Guava is one of my favorite hors d’oeuvres. It’s so soft and creamy, it’s positively dynamite! Guava paste is used as a filling and goes well with the sweet cream cheese dough. 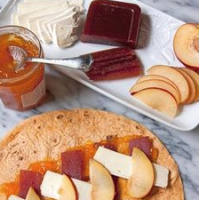 Another idea for Guava with cheese boards - try arranging alternate slices of guava paste and slices of goat cheese on a small plate and drizzle on some warmed guava paste thinned with a little water. Another idea is to put a thin slice of guava paste between thin slices of a spicy salami. It is out of this world. 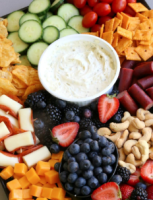 You could easily serve it as party food.